Vikram Sarabhai Space Centre has received response from 141 companies for its lithium ion cell technology. The Indian Space Research Organization (ISRO) today announced that the Vikram Sarabhai Space Centre (VSSC) received response from 141 companies for its lithium ion cell technology. 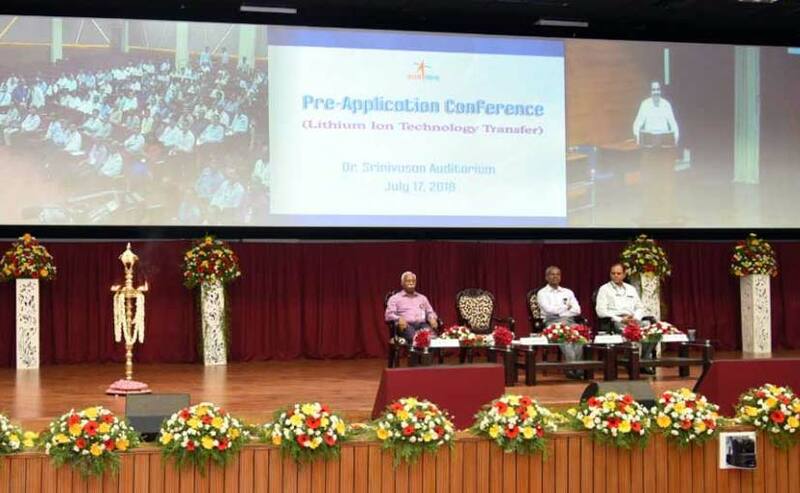 In the month of June 2018, ISRO issued the Request for Qualification (RFQ), in connection with the technology transfer, containing a brief description of the qualification aspects, technology transfer process, timelines and other relevant details. The lithium-ion cell technology is one of the most promising electrochemical energy storage technologies owing to its high voltage, high energy density, long life cycle and high storage characteristics. Recent progresses in Li-ion battery technology have made it the favorite power source for electric and hybrid electric vehicles as well. At the conference, Dr. S. Somanath, Director, VSSC mentioned the importance of batteries in space technology and the role played by VSSC in deploying different type of batteries. Moreover, he also spoke about the importance of Li-ion battery technology and how the advanced battery technology was going to revolutionize the power storage sector in any applications. ISRO's Vikram Sarabhai Space Centre (VSSC) has successfully developed and qualified lithium ion cells of capacities ranging from 1.5 Ah to 100 Ah for use in satellites and launch vehicles. With the successful deployment of indigenous lithium ion batteries in various missions of ISRO, VSSC is planning to transfer this technology to the industries to establish production facilities for producing lithium ion cells to cover the entire spectrum of power storage requirements of the country.